One thing that makes photography unique is its ability to freeze a moment in time. As humans, we see what's in front of us as a continuing chain of events. The camera, however, is able to stop time from moving forward, giving us the opportunity to study that fraction of a second. And it's being able to control those fractions of a second that makes this possible. There are two elements in every camera that affect how much light enters the camera and finds its way through the lens to the camera's sensor. One is the aperture and the other is the shutter. The aperture is the opening that can be adjusted to allow more or less light to enter the camera. The varying sizes of the opening are called f/stops and are referred ao in numerical terms: f/4, f/5.6, /8, f/11 and so forth. The shutter is the mechanism that determines how fast the aperture will open and close. The slower the shutter speed the more light that enters the camera. Shutter speeds are measured in seconds. Most cameras have shutter speeds that range from several seconds-some as long as 30 seconds-to fractions of a second-up 1/1000 of a second and above. The camera's shutter speed determines how the action in a photo is recorded. A fast shutter speed can freeze action, even stopping a hummingbird's wings. A slow shutter speed can let action blur or even make a moving subject seem to disappear. First, let's look at how a high shutter speed can stop action. When you want to take a picture that stops the action of your subject, you have to first consider the speed of the action. The speed of the blades of a helicopter in flight is much greater than that of a kid biking down the street. Trying to freeze those helicopter blades might require a shutter speed above 1/1000 second; stopping the movement of the bike might be possible at 1/250. Thus, the shutter speed you choose has to be relative to the action you're trying to stop. A good rule of thumb would be that 1/500 second is a good starting point for stopping motion that's fairly fast. Sometimes it's better to not stop action and let it blur instead. This type of blur can add to the feel of the picture. 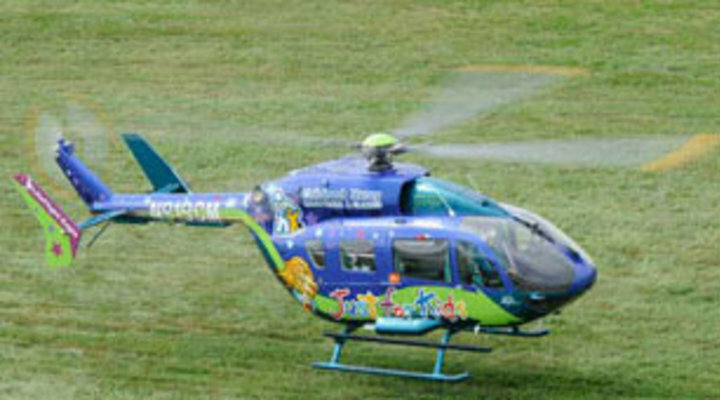 In the case of the helicopter, showing some blur in the blades may look more natural than having them stopped completely while in mid-flight. The proper shutter speed for achieving the amount of blur you want is dependent on the speed of the action. You can see blur in helicopter blades at 1/500, but showing the motion of a snail crossing a log may require an exposure of several seconds. As you begin to work with shutter speeds, you'll learn there are different types of blur. For instance, blur can be brief or pronounced. The slower the shutter speed, the easier it will be to see the resulting blur. Traditional blur is when the camera is being held still and a moving subject is photographed at a slow shutter speed. In that case the non-moving area around the subject will be captured with no blur, and only the subject will be blurred. Panning is when you do essentially the opposite. In panning you follow the subject with the camera during the action, actually tracking the subject. Doing that means the background will now blur because you're moving the camera during the relatively slow exposure. And because you're tracking the subject, it's possible that part or all of the subject will be captured with little or no blur. This technique is very effective when it works. The key to making a successful pan shot is to shoot a lot of photos. Because you're shooting a slow shutter speed, and moving the camera, you're likely to have several photos that don't work, but when you get one, it can look great. Extremely slow shutter speeds—20 or seconds for example—can make moving subjects seem to disappear. A good example of this is shooting a roadway at night from a tripod. Despite a number of cars passing by, only their bright headlights and taillights will show up in the exposure, because they weren't in the same place long enough to record on the film or sensor. Experiment with different shutter speeds to you find the one that gives you the most pleasing effect for the scene and subject. We like sharing articles, too! Sign up for Learn & Explore emails and receive inspiring, educational and all around interesting articles right in your inbox. Learn how to freeze the motion in an action scene or capture a blur to show movement.